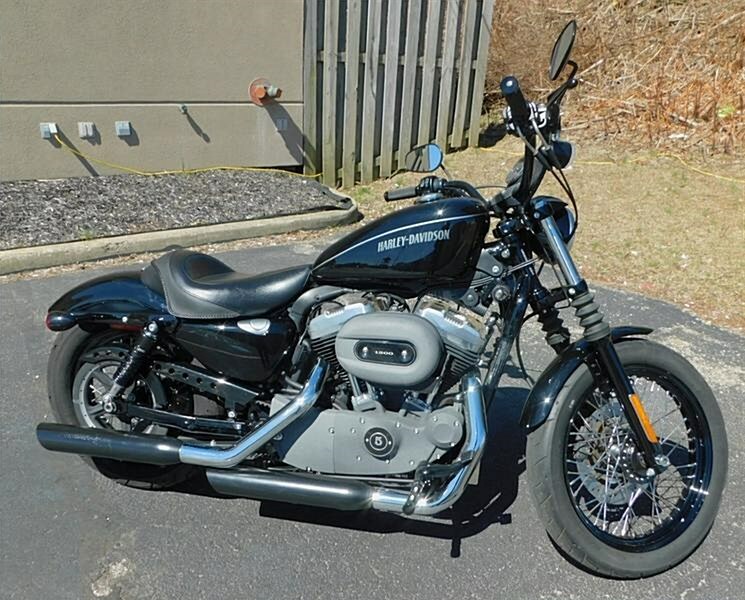 The 2012 Harley-Davidson® Sportster® Nightster™ XL1200N has a unique Dark Custom style. From front to back, this bike has a vintage motorcycle look. This Dark Custom has several custom styling features that all add up to a stripped down, minimalist, vintage motorcycle look. Medium gray 1200cc engine with polished rocker covers. Black belt guard with lightning holes. Black front forks with gators. Black headlamp body and visor. And black cast aluminum wheels that shoot ™ into the modern rebel culture and keeps the rebellious fire burning with plenty of freedom for customization. Learn more about the Harley® Sportster® Nightster™ XL1200N vintage looking custom style. If this style isn't what you have in mind take a look at another Harley-Davidson® Sportster®. The Nightster™ model is decked in black and gray from front to back with a defiant attitude that embraces the pure essence of riding. Medium gray 1200cc engine with polished rocker covers. Black belt guard with lightning holes. Black front forks with gators add an old-school look. Black headlamp body and visor. And black cast aluminum wheels that shoot the Nightster™ into the modern rebel culture and keeps the rebellious fire burning with plenty of freedom for customization. The black drag-style handlebar with a slight rise and black finish hand controls add to the stripped down, minimal look of the Nightster™ model. Born at the drag strip, the drag-style handlebar is an old school garage feature that puts you in a forward, aggressive riding position. True to the clean, fast lines of the bike, the side-mounted license plate leaves the rear fender surface smooth and uncluttered. Minimal and unique—every inch of the ™ motorcycle is styled to perfection to achieve a raw, custom look. As one of the defining features of the Harley-Davidson® Sportster® models for decades, the classic 3.3 gallon tapered peanut fuel tank still holds strong today with its traditional styling and modern attitude. Following the line of the bike from front to back, the peanut tank angles down just right into the solo Sportster® seat. Attitude and looks all balled up into one.